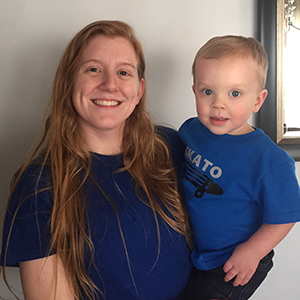 I am Courtney Lewis and I am the mother of one toddler that I practiced Elimination Communication with since he was 12 weeks old and potty trained him at 19 months. I had never heard of anything different from using diapers full time until after my son was born. I was immediately intrigued and learned as much as I could about how babies know they need to eliminate and how we can properly understand their communication to help meet their needs. My husband and I decided to give it a try and we never looked back! It was a road with a lot of grace and learning but we will definitely be taking that road again with our future children! I would like to encourage you to give Elimination Communication a try! When we began we knew very little and had zero experience. But I must tell you there is no exact way that it has to be done. Whether you work and can only practice it on the weekends or you stay home and want to constantly be aware of your babies potty needs, there are many benefits! We saved a lot of money on diapers. We were able to potty train much earlier than the average age in America and we avoided a lot of the struggles that come with waiting until an older age to introduce the potty. And above all else, we were able to meet another one of our son’s needs as his parents. Since I had never even heard of this natural way to care for children I have become passionate about sharing the awesomeness of early potty learning with others. It is an incredible process and I would love to help you dive on in! When I am not taking my son to the potty I enjoy sewing and reading and my husband and I serve full time in the ministry of our Lord Jesus Christ. Serving Tuscarawas County and surrounding areas.